The main reason people using Godaddy Domain registration service is their famous discount codes which let you register domain names for very cheap. I have been a Godaddy user for over 10 years because of this. No matter what others say about their previous owner or their terrible methods of trying to sell everything I have been using them just simply because their prices and promo codes. Unfortunately new management has removed almost all domain renewal promo codes so keeping domains there could be costly thing. Right now a .com renewal cost around $15 unless you are a member of Godaddy discount club. For that you have to pay a monthly fee and it’s only worth if you have 100+ domain names. But all is not lost. They still offer loads of promo codes for new registrations. So you can always register domains from Godaddy for the lowest price in market. You can always move the domain to somewhere else if you want. 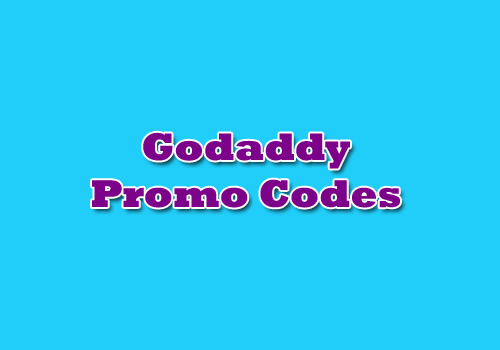 So I thought maintain a list of all Godaddy Promo codes which are still usable. Please help me to keep this list upto date. Report is any of these codes are no longer working or if any of codes are not working for specific countries or regions. gd5367a – This promo code suppose to give you 39% off from renewals but I haven’t tested it yet. So far this is the biggest discount code I have found. I will try this when I will be renewing my Domain Discount Club account. I really hope it’s still working.